GLOUCESTER, Mass.—The CRAFT Sportswear Gran Prix of Gloucester presented by Ipswich Ale Brewing continued today with Category 2 races at historic Fort Stage Park on Gloucester Harbor. 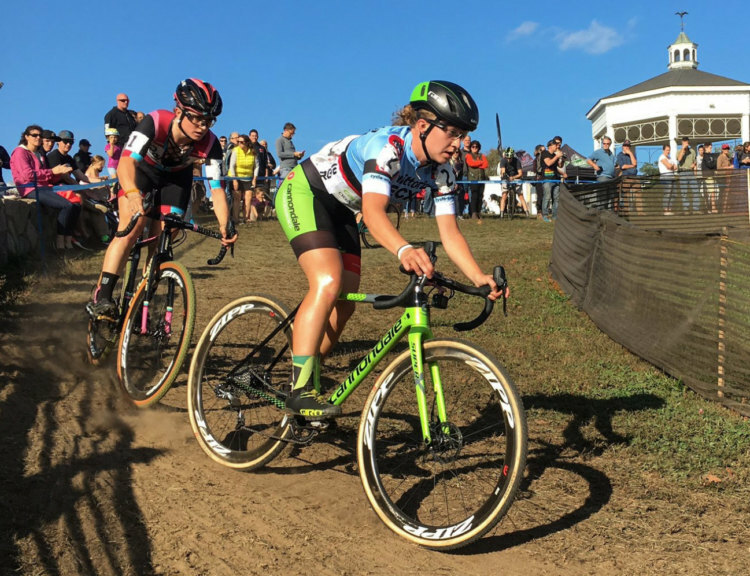 It was the opening weekend of competition for the Vittoria Northeast Cyclocross Series presented by Clif Bar and Cycle-Smart. 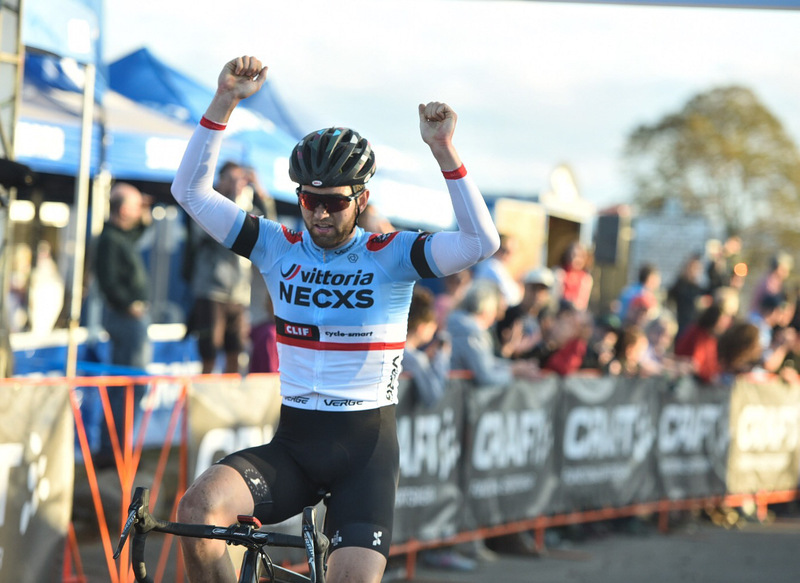 Tobin Ortenblad (Santa Cruz/Donkey Label Racing) would outsmart his competitors down the final turns to win his fifth race of USA Cycling’s Professional Cyclocross Calendar (ProCX). Ellen Noble (Aspire Racing) would solo her way to victory, her second of the year, in a confident and aggressive race on the women’s side. Noble controlled the race from the start. She established an early lead with Emma White (Cannondale p/b Cyclocrossworld.com), and would then ride away from White with four laps remaining. White would suffer a mechanical, but hung on for second place. 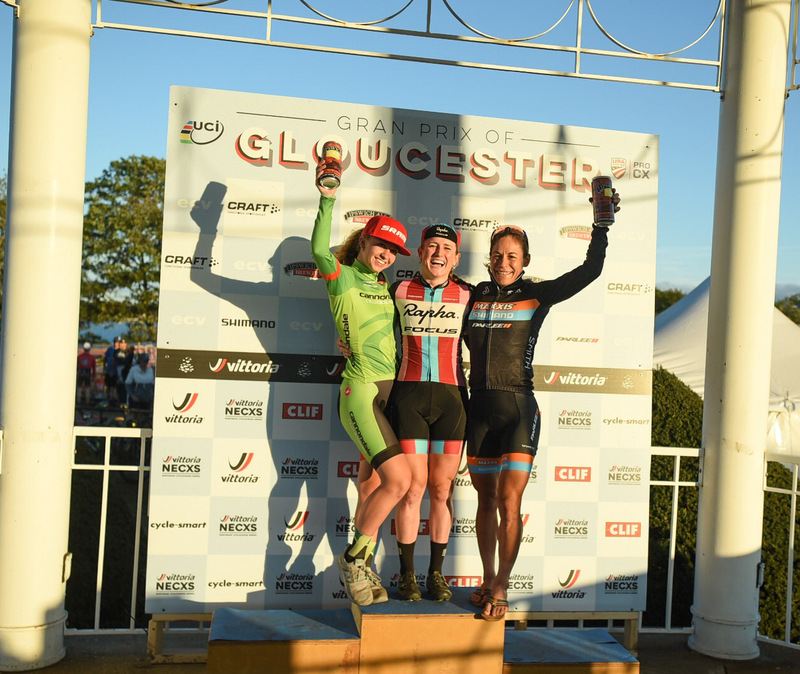 The third step of the podium would go to Beverly, Massachusetts native Crystal Anthony (Maxxis Shimano Pro Cyclocross), after surpassing yesterday’s third place-finisher Christel Ferrier Bruneau (SAS-Macogep). Noble will take over the Vittoria Series leader’s jersey, while White will still remain in a Verge leader’s jersey as the top U23 woman. 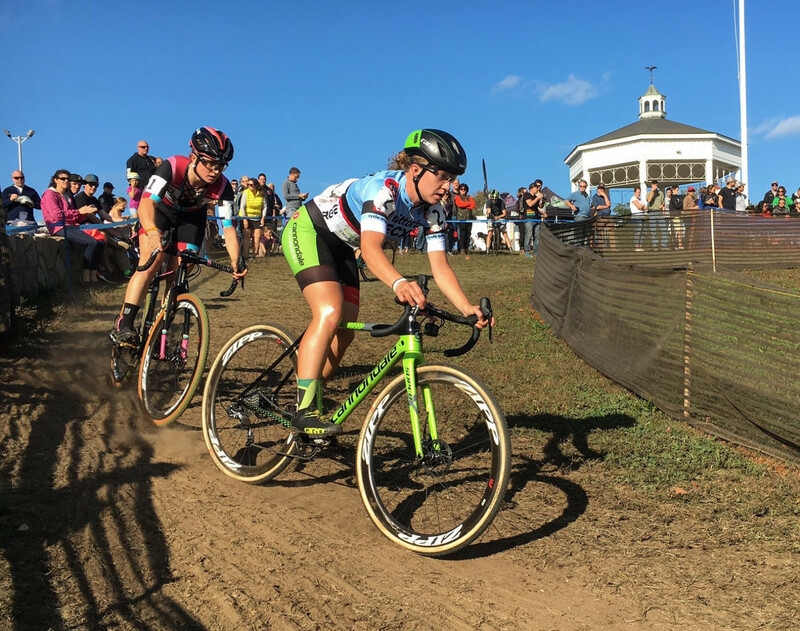 Together with Anthony, the three riders are currently ranked in the Top Five of the ProCX women’s standings. For the Elite Men, it would be Jeremy Powers (Aspire Racing), like his teammate Noble, who seemed motivated to lead the charge early on and control the pace. Powers and Day 1 winner Ortenblad would go head to head for nearly the entire race, separating from the bunch on the second lap. Ortenblad got the jump on Powers taking the inside line on the final turn onto the pavement. He would use a tailwind on the finishing sprint to win by 12 seconds over Powers. Curtis White (Cannondale p/b Cyclocrossworld.com) would fight for third, escaping teammate Cooper Willsey and riding away to the final podium spot. 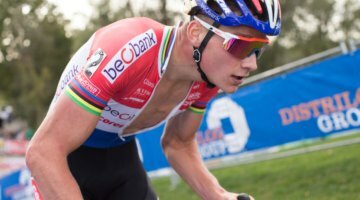 Ortenblad now leads the Vittoria Series for the Elite Men, with Cooper Willsey leading the U23 men’s competition. The Vittoria Series will continue in Northampton, Mass. with the Verge Northampton International Nov. 11-12. For more information on the Vittoria Series visit necyclocross.com. ProCX racing continues Oct. 21-22 at DCCX in metro Washington, D.C. 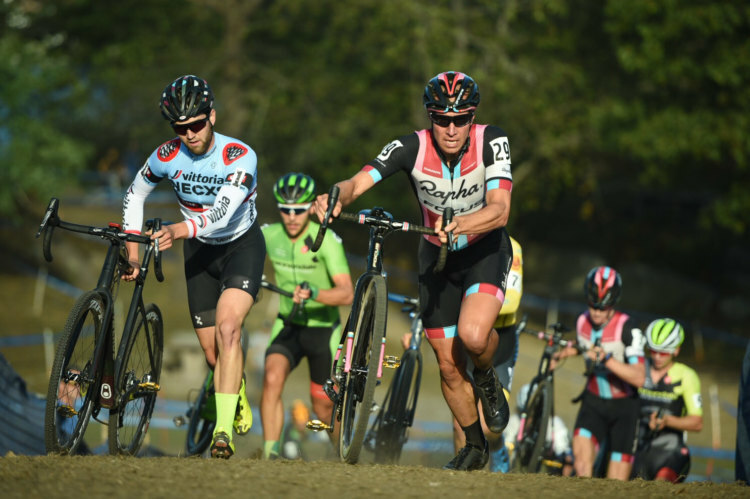 Races are part of the BikeReg Cyclocross Super Series, and Elite Women and Elite Men competitions are part of USA Cycling’s Professional Cyclocross Calendar (ProCX). 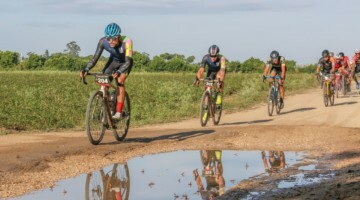 DCCX was named the “best local bike race” of 2017 by Washington City Paper, noting that the venue used for the two-day event, The Armed Forces Retirement Home, is normally closed to the public. DQ 8 Peter GOGUEN Race C.F.